IN REVIEW | In the week that saw changes to savings taxation and Help to Buy ISAs in the Budget grab the headlines from Westminster, frameworks are being set to allow local DAB digital radio multiplex operators to have their licences extended to 2030 and for £600m to be set aside to help industry and consumers deal with the next Freeview frequency clearance. An amendment to legislation allowing Ofcom to renew local DAB digital radio multiplex licences until 2030, providing minimum coverage levels have been met, has been passing through Parliament. "The current local multiplex licences begin to expire in the early 2020s. The build of additional coverage, which is being supported by the Government and the BBC, will require long-term capital and service contracts to be signed between the local multiplex operator and Arqiva, which provides transmission services to the multiplex operators. If those contracts are for a shorter period of time, that could push up the cost of the extension of coverage. Permitting the multiplex operators to renew their licences, so that they expire in 2030, will allow them to spread the cost of that investment over a longer period. That will reduce the immediate costs for the commercial operators, and for the local multiplex operators, the BBC and the Government." Multiplex operators who have extended their coverage to the minimum standards set out earlier this year will be able to apply for the licence extension. Hansard confirms that the draft Broadcasting Act 1996 (Renewal of Local Radio Multiplex Licences) Regulations 2015 were approved by the House of Lords on the 16th March and approved by the House of Commons on the 18th March, and is due to come in to effect from next month. Also on the 18th March, the Chancellor announced in his budget that there would be financial assistance to help with the cost of the future clearance of more TV frequencies for mobile broadband use. "the Government will provide up to £600 million to support the delivery of the change of use of 700MHz spectrum, which will further enhance the UK’s mobile broadband connectivity. These funds will support the infrastructure costs of clearing the spectrum frequency, including support to consumers where appropriate, and retuning broadcast transmitters to nable broadcasters to move into a lower frequency. This will free up 700MHz spectrum for 4G mobile communications use through an auction next Parliament." 700MHz clearance means that the frequencies available to broadcast Freeview will be cut for the second time in a decade, but newer technology will allow the broadcasters to retain a similar number of channels. Exact plans for the future make up of the service and which frequencies it will use are still being drawn up and will depend on the outcome of an international conference discussing frequency allocations later this year. 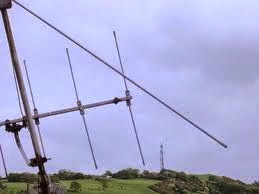 Frequency changes mean that some household aerials will need replacing and engineering work will need to take place at transmitter sites across the UK, likely to cost considerable amounts. The Government will hope to raise significant funds by auctioning off the frequencies to interested parties. Filters being fitted in some households for free under the current scheme to cut 4G interference in the recently reclaimed 800MHz frequency band will likely need to be replaced with filters blocking out more of the frequency band in the future. Although 4G has been around for a few years now, mobile network Three, which holds the group of 800 MHz frequencies closest to current Freeview TV broadcasts has only in the past months begun its roll-out of 4G in the 800 MHz band in some areas. Experiences from the current exercise will inform decisions of how consumers can be helped during the next frequency clearance.